Questions of equality and social justice are as important as ever in the information age. Do Internet technologies give rise to radical social change, or do they just reproduce existing social and economic divisions and relationships? By changing how people and organisations interact with each other, ICTs disrupt and reconfigure social networks, information and value flows, and geographic space: but who exactly profits? 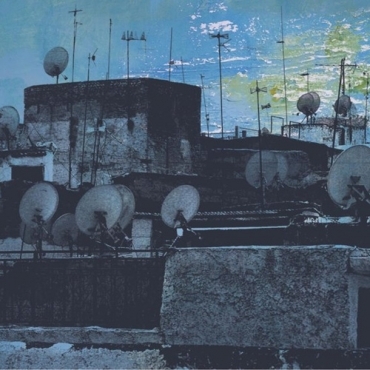 This seminar series gathers leading scholars and practitioners to reflect on the influence of new communication technologies on development processes. "Our Digital Rights to the City" is a small collection of articles about digital technology, data and the city. Edited by Joe Shaw and Mark Graham. This project aims to understand the contextual, contractual and practical nature of platform work, to identify its shortfall from decent work standards and to contribute to the development of its governance and regulation. 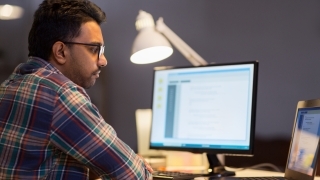 The Fairwork Foundation will certify online labour platforms, using leverage from workers, consumers, and platforms to improve the welfare and job quality of digital workers. Wikichains is a website that aims to encourage ethical consumption and transparency in commodity chains, by encouraging Internet users from around the world to upload text, images, sounds, and videos of any node on any commodity chain. Amir’s research focus is on the political economy of neoliberal globalisation in the Global South, mainly in India and Africa, with a particular interest on the growth of knowledge economy in Sub-Saharan Africa and its developmental impacts. Grant Blank's work focuses on the social and cultural implications of the Internet and new media, quantitative and qualitative methods, and cultural sociology. He teaches on the OII social statistics courses. Nicolas studies digital entrepreneurship and collaborative innovation in challenging environments, such as low-income and post-conflict countries in Africa. 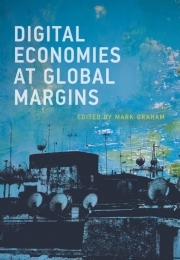 Mark Graham is a geographer that focuses on economic development, labour, power, participation, and representation. Vili Lehdonvirta is an Associate Professor and Senior Research Fellow at the Oxford Internet Institute. He is an economic sociologist who examines how digital technologies are shaping the organization of economic activities in society. Sanna is a DPhil Student at the OII and also a doctoral student at the Alan Turing Institute, where she leads the Data and Inequality interest group together with her supervisor Mark Graham. Michel Wahome researches the co-evolution of digital technologies, practices, markets and institutions in the Global South. Jamie Woodcock is a sociologist of work, focusing on digital labour, the gig economy, and resistance. He is currently involved in the Fairwork Foundation, a project about online labour platforms. 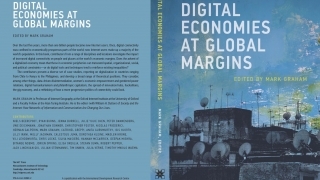 Investigations of what increasing digital connectivity and the digitalization of the economy mean for people and places at the world's economic margins. 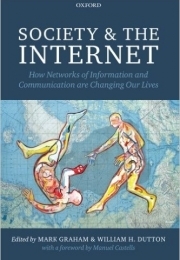 How is society being shaped by the diffusion and increasing centrality of the Internet in everyday life and work? This volume introduces students to a core set of readings that address this question in specific social and institutional contexts. 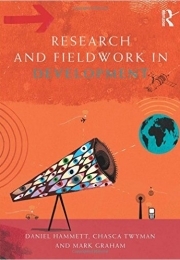 Introducing the debates and practices surrounding ICT uses in the Global South and Global North, drawing on Anthropology, Development Studies, Economics, Geography and History to examine the theoretical and conceptual frameworks that underpin development.